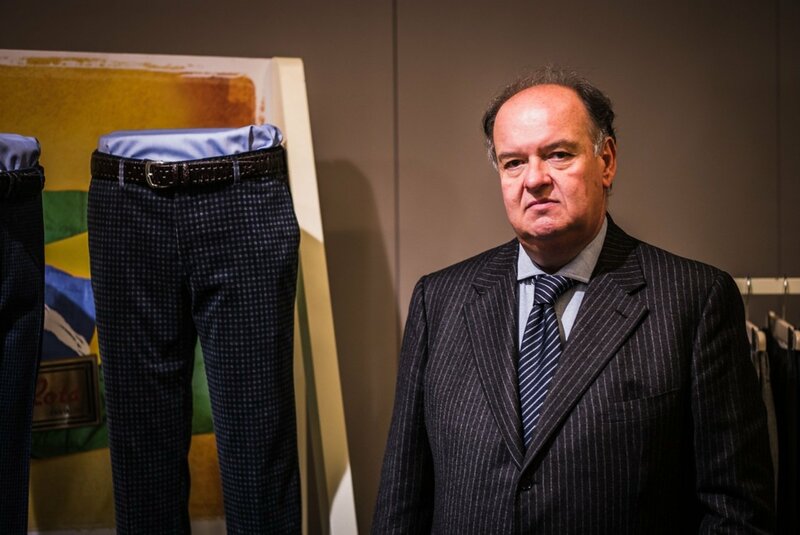 There’s no reason you would have heard of Rota, yet it is one of the best makers of trousers in Italy. A small, family-run company, it has been making nothing but trousers for the past 50 years – largely as a third-party manufacturer. 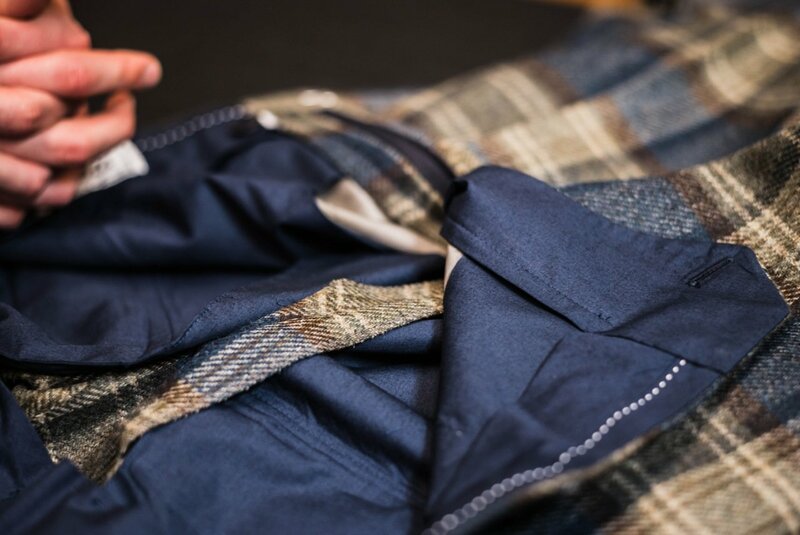 The quality of the trousers is high: hand tack-stitches at pressure points; hand-finished skirt around the inside of the waistband; perfect pattern matching; neat, turned edges. But what sets Rota apart, I learnt from them and their customers, is flexibility. Rota specialises in low-volume orders, quick turnarounds and made-to-measure services. It keeps cloth in stock for all models, so it can make new pairs and get them in shops within 2-3 weeks. The made-to-measure service also has an average turnaround time of two weeks. And it often works with customers, such as Anderson & Sheppard, to create new models and designs. I’ve written several times about the trouser models that Audie, Anda and the rest have developed for the A&S haberdashery on Clifford Street. All of them, from the high-waisted brace-backs to the narrow peg-legs, were made with Rota over several months and many prototypes. 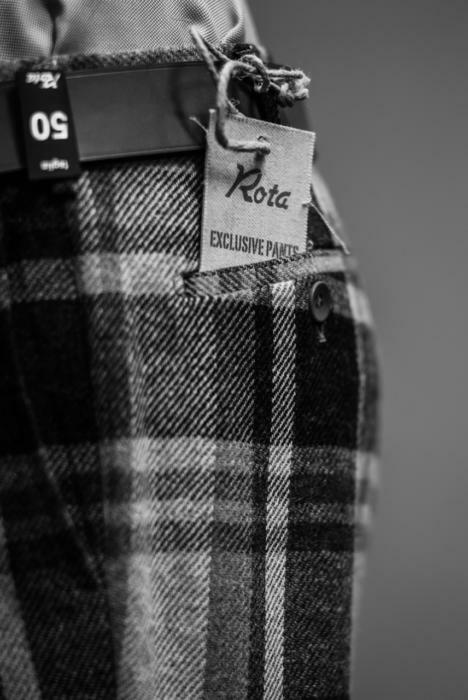 Thanks to Rota, A&S can offer a unique range of trouser designs, in a small number of materials but with a large selection available to order. Part of the £300+ price tag reflects this design and flexibility, as well as the quality of the make. I should clarify that Emilio is not as grumpy as he looks. And he does make trousers that aren’t checked. You can follow the discussion on Rota trousers by entering your email address in the box below. You will then receive an email every time a new comment is added. These will also contain a link to a page where you can stop the alerts, and remove all of your related data from the site. stockists if not selling to third party? italy or uk? I lime some of those checks, but boy, h3 does look grumpy! I noticed the prices when i went into A&S, and thought that for that price i could surely get bespoke made. So seems to me like a difficult price point. Nice looking belts, think they look very familiar. Do you know the Fox Brothers director Douglas and his flannel expert Rosmarie Boon? Are you very familiar with how to take care of flannel? Apologies if this isn’t the appropriate spot to post this, but any chance of a review on Milanese tailors in the future (Caraceni, Musella Dembech etc)? There is such a lack of info online, and it seems to have such a subtle and specific regional style. Quick turnaround? I have had far more expedient service from the bespoke guys than on special orders for trousers from clifford st. Does the A&S haberdashery include any free or subsidised (at cost) adjustments in the price? I see in some of your older threads that a huge discussion broke out about whether they were overpriced for RTW and the ability to have a quality tailoring house do adjustments would be a plus point. I’m still struggling with sourcing casual and smart casual trousers at a price that I can justify. I’m really not convinced that Graham Brown cut a paper pattern for trouser-only orders, I suspect it’s more MTM with local production; I’ve had two trousers made so far and am still struggling to get a good fit. I suppose that maybe if I commissioned a suit I would know that a paper pattern was being cut and would get a basted and forward fitting to fine tune a paper pattern from which subsequent trouser-only orders could be cut but I don’t really need a suit. I’m wondering whether RTW and subsequent adjustments is the solution although that doesn’t give me an easy choice of fabrics. The other option is MTM from a good tailor where one of the cutters measures and assesses fit on delivery. Benson & Clegg is one possibility I’ve considered for that. Full bespoke at £800+ for anything around the row is more than I want to pay for casual trousers. Any thoughts Simon? I’m perfectly happy to pay £300 for a pair, would consider anything less than that a bargain. Over £400, maybe £450, is where I start thinking that maybe it’s more than I want to pay for a single pair of casual trousers. That A&S price is simply not competitive. Ambrosi is not even charging that for bespoke trousers!! And the RTW price. I’ll stick to Ambrosi. So to clarify Rota made trousers cost around £300 at A&S? I must admit I am rather confused. Would you happen to know of any Rota stockists in paris? sorry for the late question regarding Rota trousers. 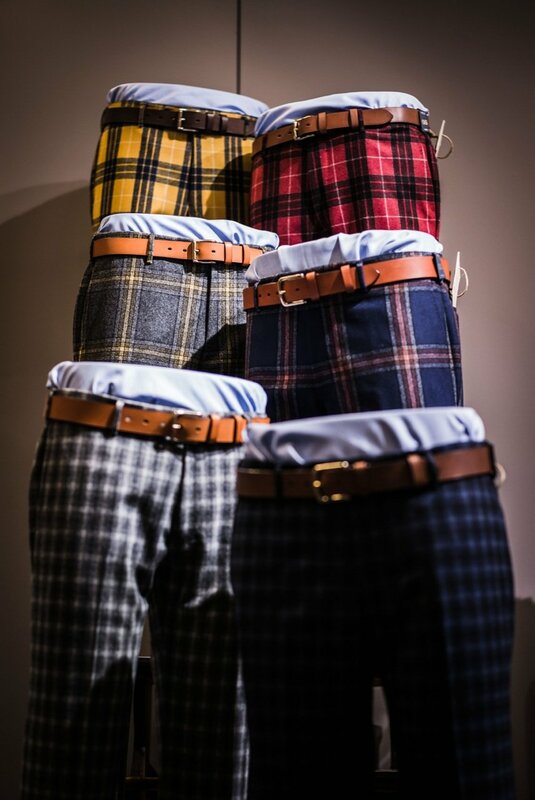 I was wondering, if you have received the list of stockists (or online retailers) for Rota trousers in Europe. Any information would be very helpful, thanks! The men’s shop Caleffi in Rome carries Rota pants (and every other fine Italian manufacturer of clothing). The only non-Italian product they carry is Smedley. It’s a beautiful small store with tremendous service. Old fashioned and modern in the best sense of both.I have been helped by Michelle for years, who is very knowledgeable and English speaking. Much preferable to the Piazza di Spagna area. I visited the A&S store a month ago to try on the trousers and while they were excellent with a large variety of styles (mostly basic colours) the sales assistant said the trousers were made on the premises (or their bespoke shop around the corner) and did not mention Rota. Do you know if they have stopped working together? Do you know of anyone else who stocks Rota in the UK?